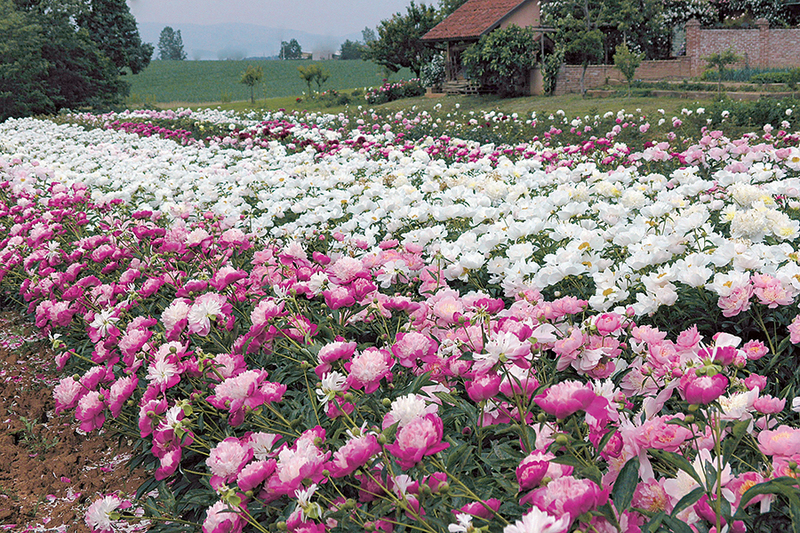 Tree peonies produce wooden branches in the spring, on which shoots carrying flowers and leaves subsequently sprout. 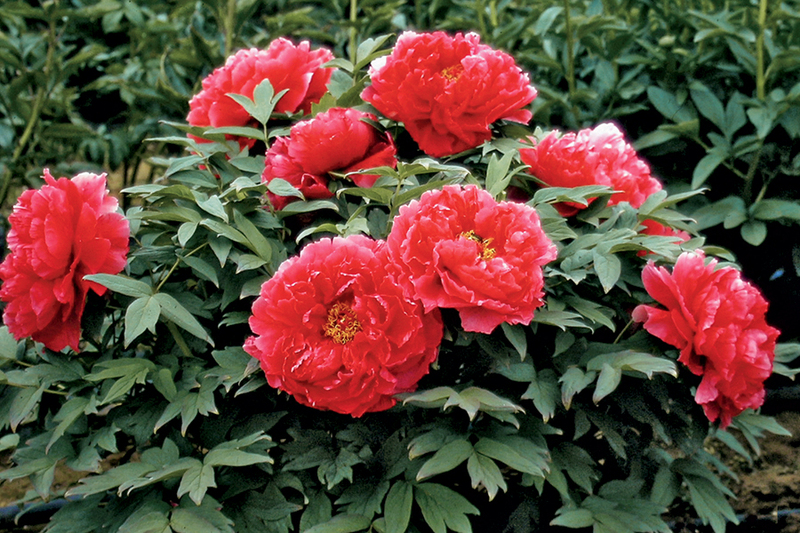 As they do not need to reform their entire aerial section every year, woody shrub peonies tend to grow both vertically and horizontally, like all shrubs and bushes (roses, hortensia etc. ), sometimes reaching two metres in diameter and height. 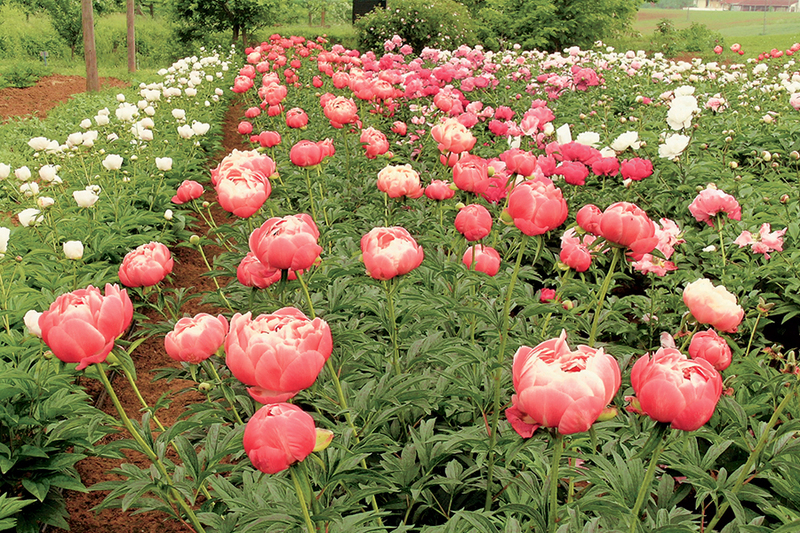 The peony called Paeonia suffruticosa or Moutan Peony has been divided, in the new botanical classification, into 5 different species: Paeonia decomposita, Paeonia jishanensis, Paeonia ostii, Paeonia quii, Paeonia rockii. To simplify matters, we will use the old name for all the varieties that cannot be unambiguously classified into the new categories. The main characteristic of Moutan peonies is their very large flowers, sticking out from the leaves; the leaves generally have smoother edges and are spreader than those of Lutea hybrids. 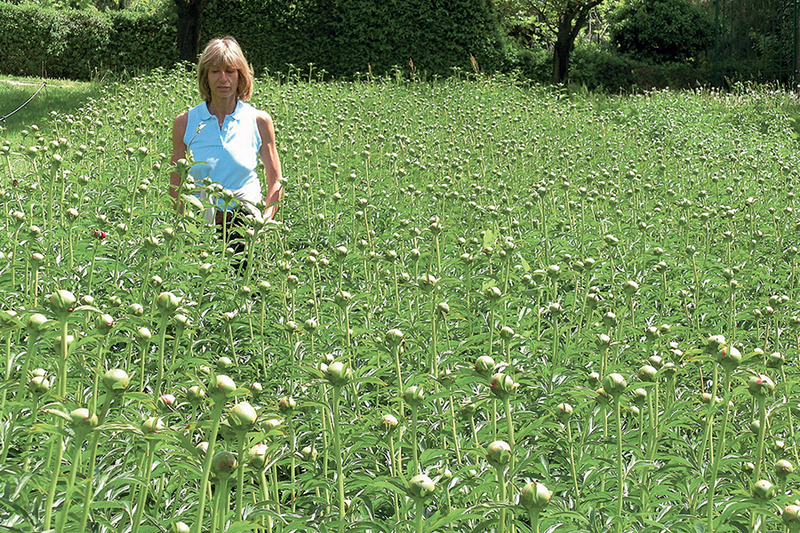 Plants usually have slower growth and bloom earlier. The Paeonia rockii is one of the most beautiful and rare peonies of our collection. 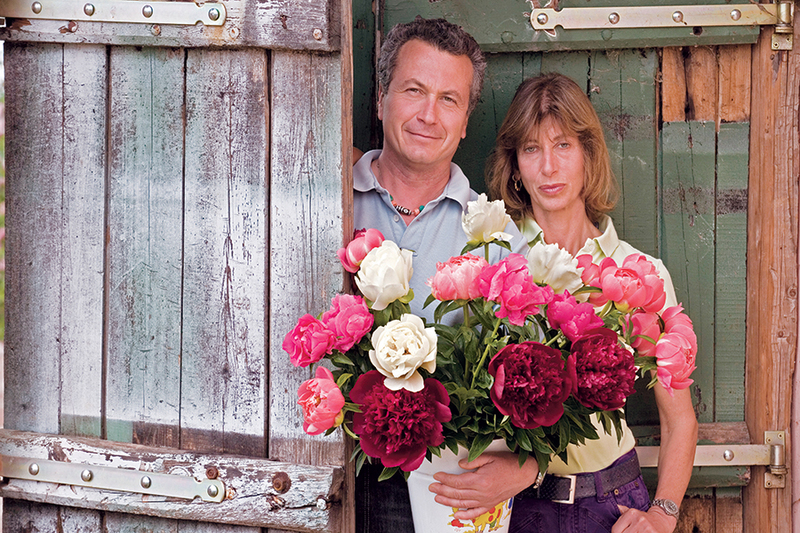 It has been named after Joseph Rock, the famous 18th century “plant hunter” who was the first to describe this peony in the wilderness and import it to Europe. 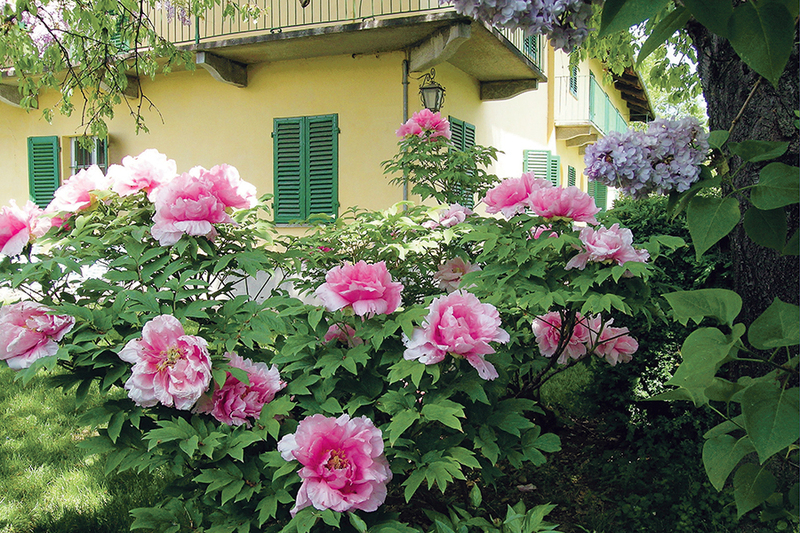 The Paeonia ostii has been named after Gian Lupo Osti, botanist and peonies enthusiast, who, with his research, contributed in a decisive manner to the recognition of this species and many more. The crossings between peonies belonging to the Moutan group and Paeonia delavayi and its sub-species lutea and potanini are usually called "Lutea Hybrids". These hybrids have some characteristics that make them quite different from the Japanese, Chinese and French varieties belonging to the Moutan group: the yellow or variegated flowers of many varieties, their rapid growth, their remarkable vigour and their late flowering.